The world's very first television tower is to be found in Stuttgart. For 60 years now the 217-metre-high tower has defied wind and weather. When building commenced, many of Stuttgart's inhabitants were doubtful as to whether the first ever tower to be constructed from reinforced concrete would hold. 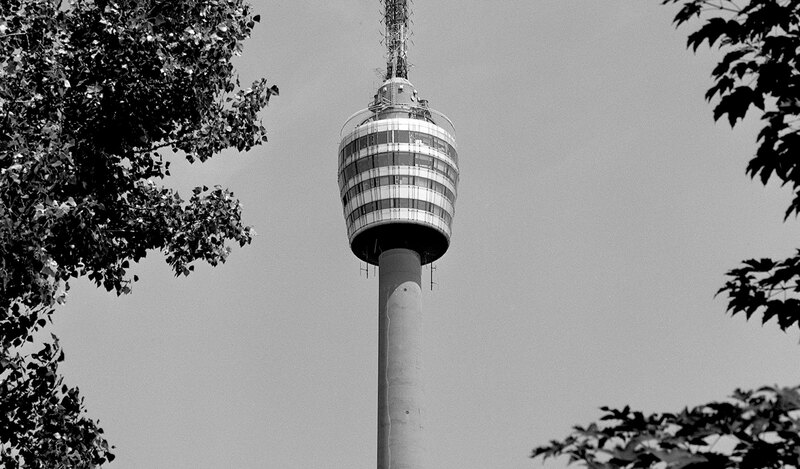 After a construction period lasting 20 months, the Stuttgart Television Tower was inaugurated on 5th February 1956. It became a prototype that was imitated and refined all over the world – from Frankfurt and Dortmund to Johannesburg and Wuhan in China. Originally the Süddeutscher Rundfunk (South German Broadcasting Company) had planned to install its antennas on top of a 200-metre-high, guyed iron lattice mast. However, Professor Fritz Leonhardt, the famous Stuttgart bridge builder and structural engineer, proposed a concrete tower instead. His concept was not only an innovation from the constructional point of view, but also because he suggested using it for tourism and catering purposes. 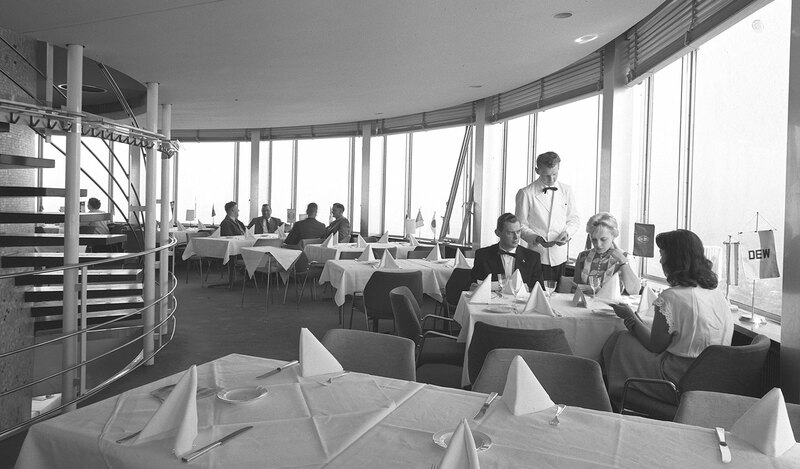 Thus an aesthetic tower came into being which incorporated an almost circular cylindrical pod with an observation deck, restaurant and transmitter technology. The costs of construction, 4.2 million marks, were recouped within the space of five years from the takings in admission charges. Today the Television Tower is one of Stuttgart's best-known landmarks. 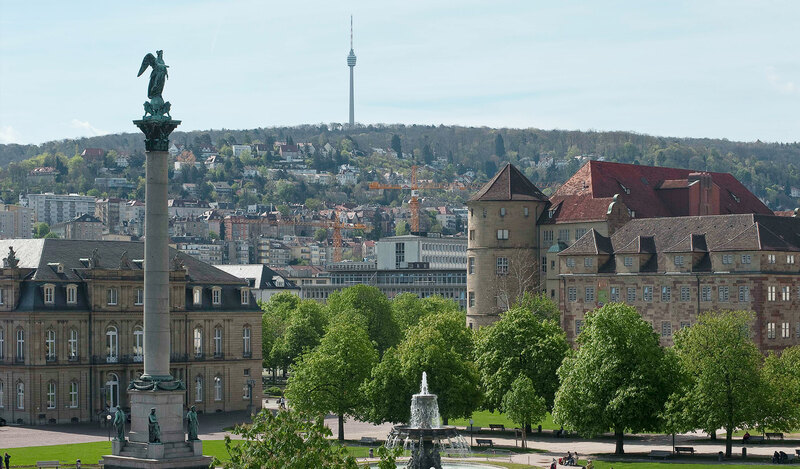 No other place in Stuttgart can compete with the impressive panoramic views which the Tower affords over the city, the vineyards of the Neckar Valley and the Swabian countryside as far as the Alb, the Black Forest and the Odenwald.